It wouldn’t be January in Key West without the Florida Keys Seafood Festival, which celebrates the local catch, fishermen, and tried-and-true seafood recipes. This regenerative food source is in season from October through May, and actually tastes more like lobster than most crab meat you’re probably used to. Local stone crab is best enjoyed chilled with a side of mustard sauce – a far cry from the steamed blue crab served with melted butter. Have you ever eaten a spiny lobster? Unlike lobsters from the north, spiny lobsters don’t have meaty claws. You just eat the tail, which tastes best grilled. Local shrimp is so sweet and tasty you won’t want to order it fried. Order a shrimp cocktail or peel-and-eat shrimp so you can taste the local “pink gold” that you’ve heard so much about. While in the Conch Republic, eat conch. You can order conch at the seafood festival in a handful of varieties, from conch salad to conch chowder. If you’re new to conch, we suggest you try good ole conch fritters, which are a Key West favorite. After a day of chowing down on seafood, make sure you’ve saved room for Key West’s favorite dessert: Key Lime Pie. This creamy and tangy treat always hits the spot, especially in sunny weather. 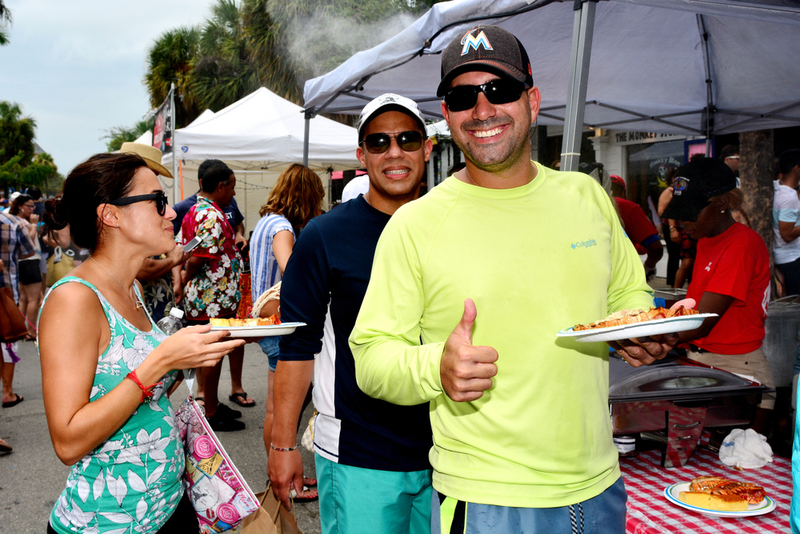 The seafood festival is held at Bayview Park in Key West at 1320 Truman Avenue, and runs from 11-6 p.m. Saturday and 11-5 p.m. Sunday. Parking is $5 in the high school lot and street parking is free. Remember to pack sunscreen and a hat!